One Piece is just always exciting to read. The world is so big, with so many fun characters. 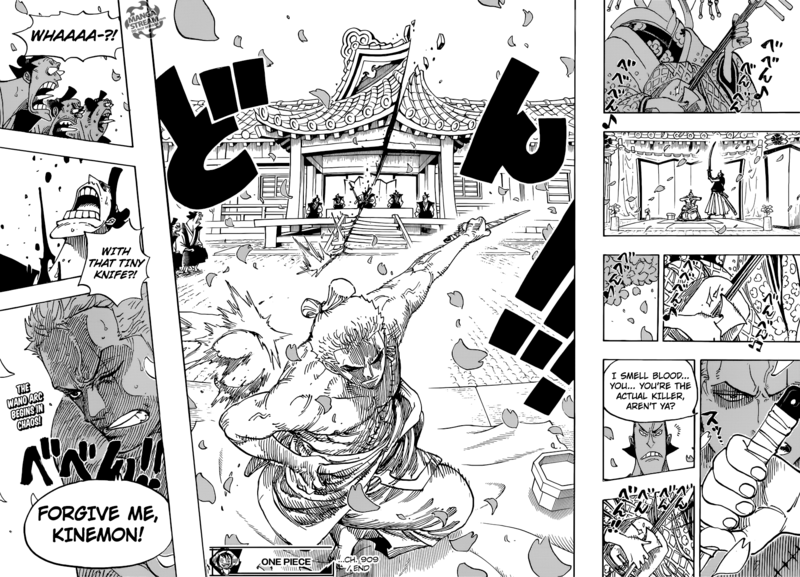 This chapter entitled, “Seppuku” shifts focus from Reverie to Wano. We get more background on some of the characters that may have been forgotten. Nekomamushi and his Mink crew arrive to Whitebeard’s home island. We get reminded that Marco the is alive. 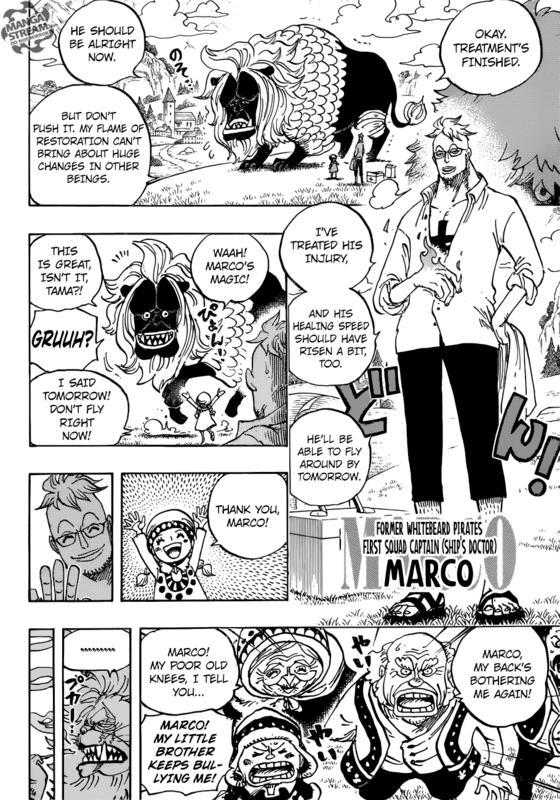 Marco the former commander of Whitebeard Pirates, has basically been hiding out trying to do right by Whitebeard. Marco has been hiding out from them, acting as a doctor. We learn that Whitebeard was orphaned on the island that was too poor to join the World Government. Whitebeard send some of his ill gotten gains back to his home island. 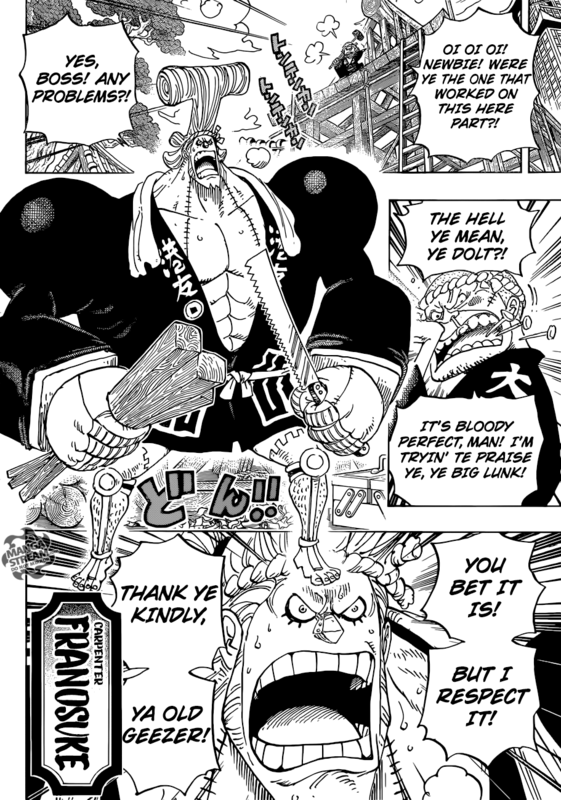 Regardless, he tells Nekomamushi that he can’t join Luffy but has a message for him. Meanwhile, we pivot to Wano Country, where we get to see the remaining members of the Strawhat crew. 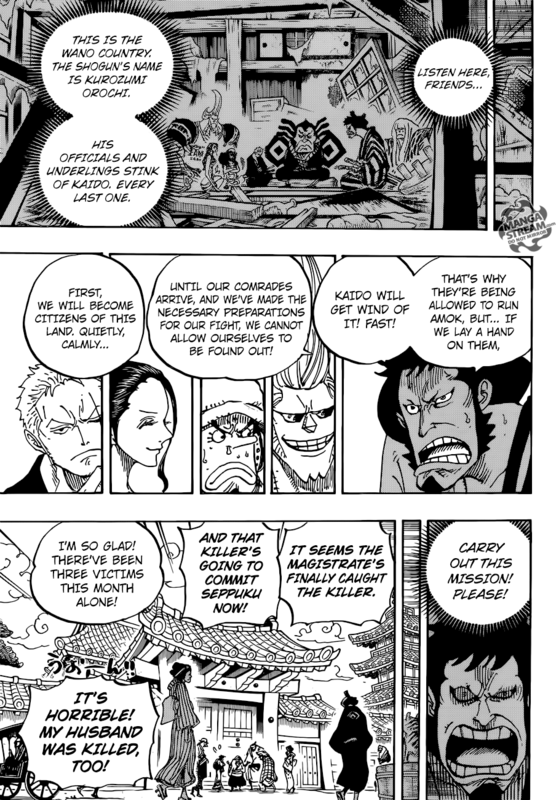 Kin’emon tells Franky, Usopp, Robin and Zoro that they must assimilate into Wano society, to rally support to overthrow Kaido ally, Kurozumi Orochi. He says that it’s important that they keep a low profile. 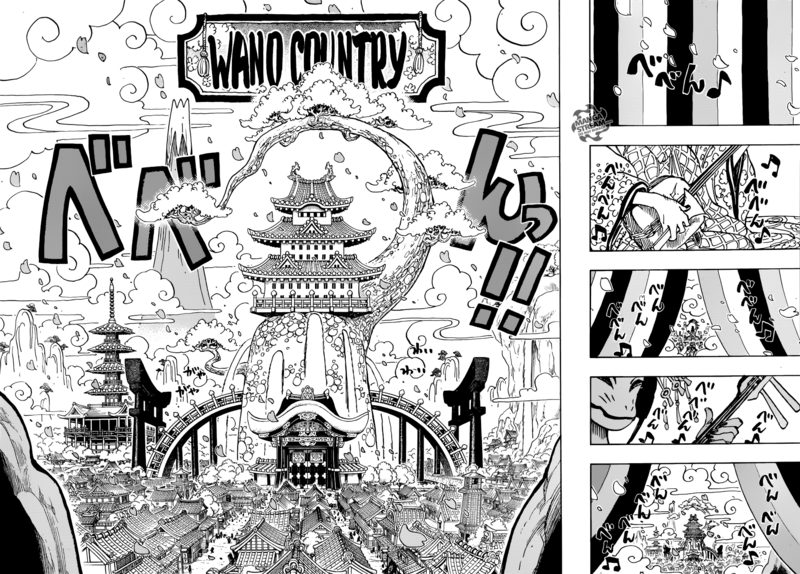 The first thing that struck me about Wano is it’s vibrant and beautiful. While being in black and white of course, I know that it would be a highly colorful. Wano is clearly based on Japan. Regardless, the Strawhat’s are not suppose to get unwanted attention, or they will alert Kiado. Meanwhile, Zoro posing as a ronin, is under arrest for allegedly murdering 3 people. Due to Zoro having possession of the famed swordsman Ryuma’s, sword Shusui. The clearly corrupt magistrate orders Zoro to commit “Seppuku.” Zoro comments that ” the magistrate himself smells like blood and queries if he is the true culprit,” he then slashes him with the small sword he was given to commit seppuku, seemingly killing the magistrate while cutting the building and part of the ground. With that epic moment the Wano arc officially begins. Oda has expanded the One piece universe greatly. I wonder how he will balance both Reverie and Wano. This arc seems perfect to witness Zoro’s new skills he hasn’t really fought since the time skip. This chapter creates so many questions. 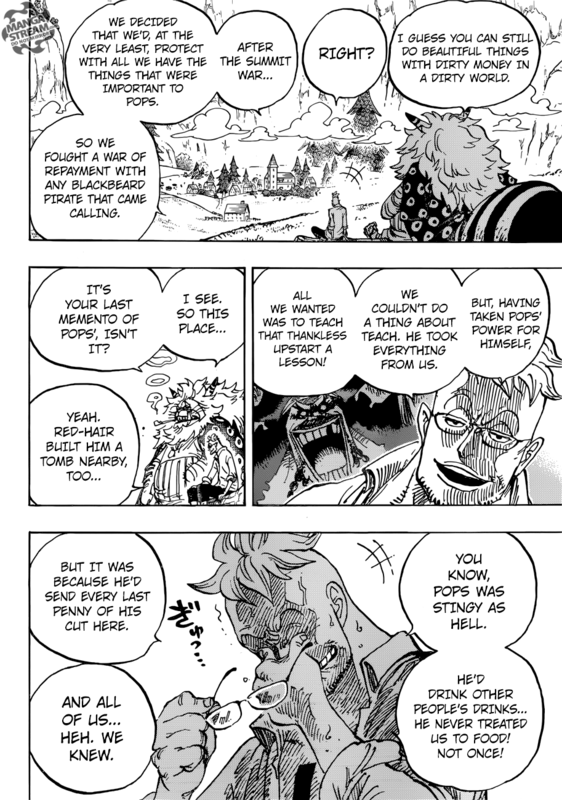 Will we get proof that Weevil is Whitebeard’s son? Will the rest of the Strawhat crew arrive in time? Will we see Kiado in action? Anyway, I’m excited to see what this arc brings.